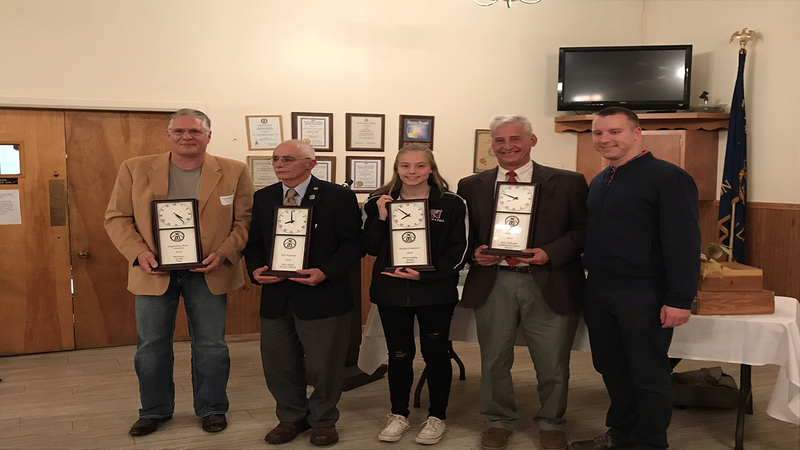 The Greater Newark Chamber of Commerce presented its citizen, business, organization and youth of the year awards at its awards banquet last Thursday evening at the Newark American Legion. The Chamber has been awarding its Citizen of the Year award, now known as the Alex Eligh Service Award, since 1954. This year, the Alex Eligh Service Award was presented to Bob Hegeman, for his willingness to help with almost any community project. Most recently, Hegemen spent countless hours working on the facilities team for the newly opened Laurel House Comfort Care Home in Newark. Pat Albrecht, a member of the Laurel House Board of Directors estimated that Hegeman’s work saved the organization more than $200,000 in labor and renovation costs and significantly reduced the time required to complete the necessary renovations to the facility. In addition to his work with the Laurel House, Hegeman is an integral part of Wayne County Habitat for Humanity, St. Michael Church in Newark and Boy Scouts. 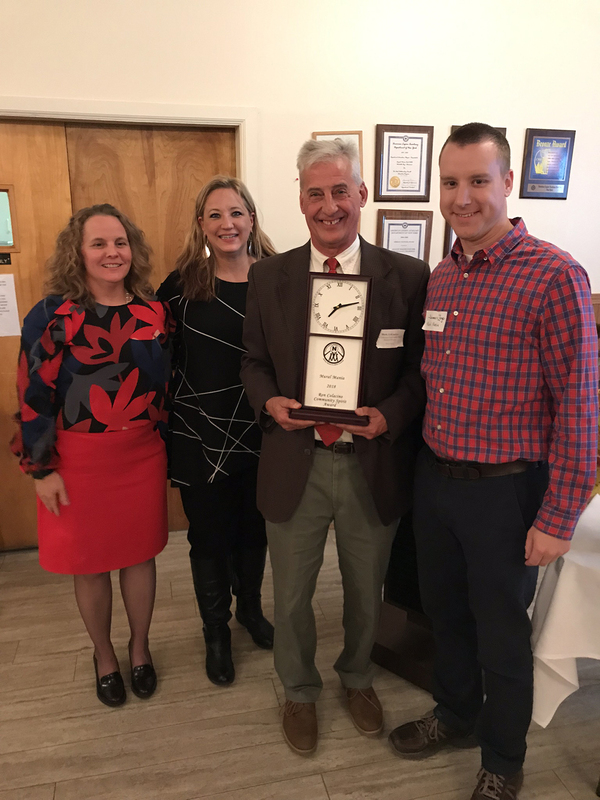 The Chamber presented its Business of the Year award to Legendary Auto Interiors, with owner Marty Beckenbaugh on hand to accept the award. Legendary was recognized for its investments in Newark and its quiet efforts to lend a hand where needed. Legendary, with more than 45,000 ft2 of manufacturing space, produces automotive soft trim interior components. 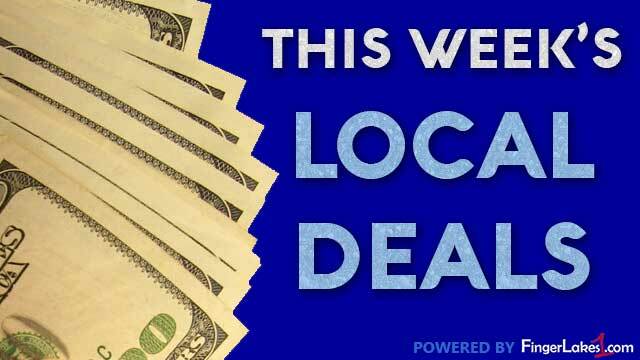 The company hosts a large auto and bike show each summer at its manufacturing facility with all proceeds being donated to a local charity. Legendary has expanded its business multiple times since locating in Newark 25 years ago and continues to innovate and introduce new products ensuring continued growth. The Outstanding Youth Award was presented to Newark High School senior, Kailyn Crawford. Crawford is a four-year junior member of Newark EMS and a fourth-year BioMedical Sciences student at NHS. She has served more than 700 hours volunteering at Newark EMS over the last four years and since becoming cleared to ride last year, has served 200 hours on board the ambulances providing care to patients and assisting paramedics and EMTs. She plans to pursue her EMT certification following graduation and eventually plans to be a paramedic cleared for Mercy Flight. Mural Mania was presented the Ron Colacino Community Spirit Award, honoring the group as the Chamber’s organization of the year. Mark DeCracker and James Zegar, accepted the award. DeCracker and Zegar were integral to the addition of a new mural added to the canal path under the North Main Street bridge this past summer. The latest mural depicts Newark downtown of yester-year along with the Newark Rose Gardens, visitors a look at the beautiful history of Newark. “Newark is blessed with many outstanding individuals and organizations. 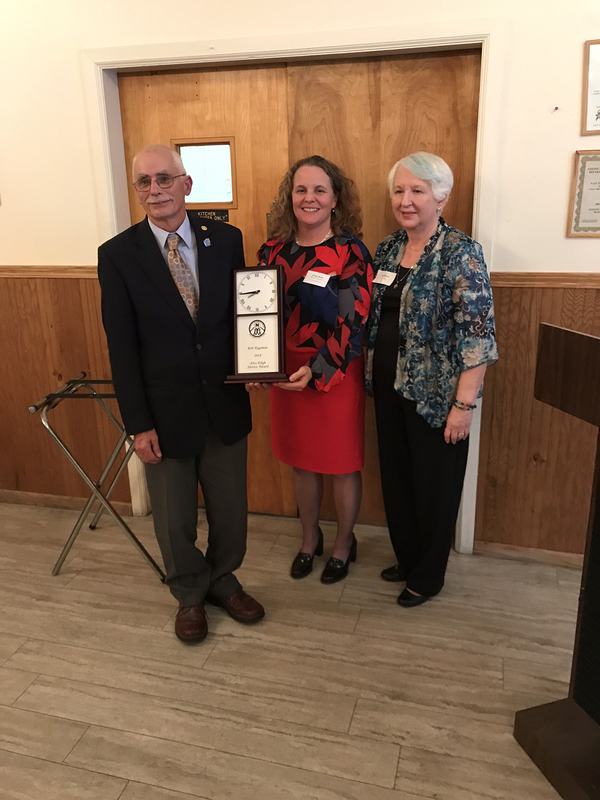 The Newark Chamber is honored to be able to recognize a small portion of them each year for the contributions to the community,” said Jessica Wells, President of the Newark Chamber. In addition to the awards presentations, Assemblyman-elect for the 130th Assembly District, Brian Manktelow was the featured speaker of the evening. Manktelow, who grew up in Williamson spoke of his memories of Newark when he visited as a child for shopping, recreation and other outings with his family. Newark Mayor Johnathan Taylor also spoke at the event, providing updates on the South Main Reconstruction and several other projects with in the village. The event was sponsored in part by Market Alternatives. The Barns at Grace Racing Ministries created and donated the awards for this year’s winners. The Greater Newark Chamber of Commerce presents its annual awards each November to individuals and organizations nominated by community members. Only the Business of the Year is required to be a member of the Chamber. For more information about the Greater Newark Chamber of Commerce or these awards, please contact the Chamber office at 315-331-2705.